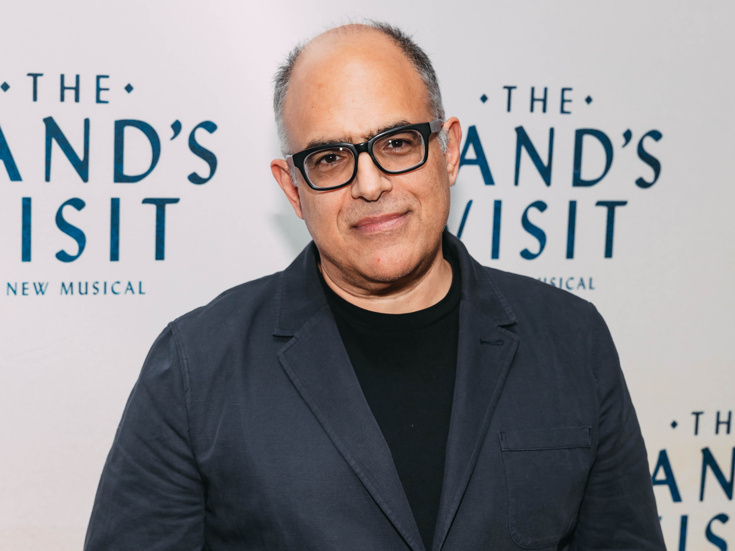 David Yazbek has won the 2018 Tony Award for Best Original Score! The triumph is for his original music and lyrics of the new musical The Band's Visit. The other nominees in the category were Adrian Sutton for Angels in America; Kristen Anderson-Lopez and Robert Lopez for Frozen; Jeff Richmond and Nell Benjamin for Mean Girls; and Yolanda Adams, Steven Tyler and Joe Perry of Aerosmith, Sara Bareilles, Jonathan Coulton, Alexander Ebert of Edward Sharpe & the Magnetic Zeros, the Flaming Lips, Lady Antebellum, Cyndi Lauper, John Legend, Panic! at the Disco, Plain White T's, Tom Kenny and Andy Paley, They Might Be Giants, T.I., David Bowie and Tom Kitt for SpongeBob SquarePants. This mark Yazbek's first Tony win. He was previously nominated for his scores of The Full Monty, Dirty Rotten Scoundrels and Women on the Verge of a Nervous Breakdown. Yazbek also contributed lyrics to the musical Bombay Dreams and wrote original music for Larry David's Broadway-debut play Fish in the Dark. Many congrats to Yazbek on his first Tony win! Check out show clips from The Band's Visit below. Give a watch to Yazbek's sitdown with Broadway.com Editor-in-Chief Paul Wontorek on Show People. Hear Yazbek take us behind the meaning of The Band's Visit's eleven-o'clock number "Answer Me." Go back to opening night with Matt Rodin's Red Carpet Challenge.